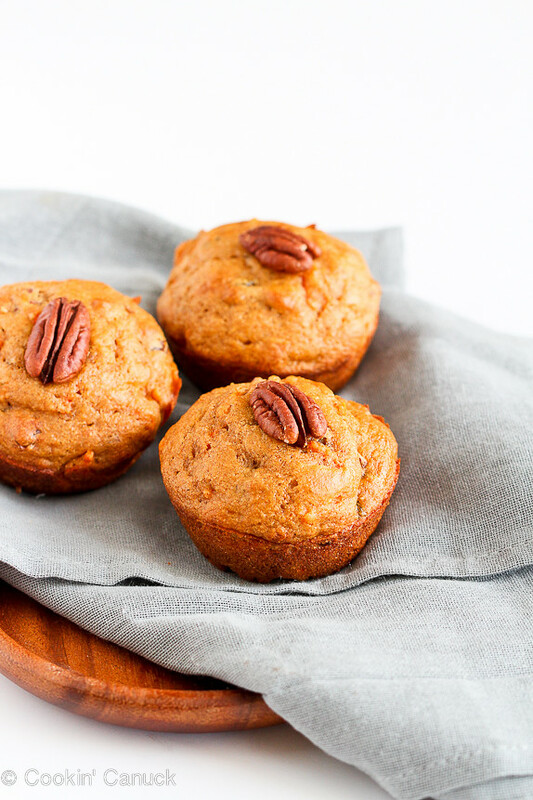 Whip up these healthy whole wheat carrot muffins in less than 30 minutes. They’re perfect for quick breakfasts and easy snacks! 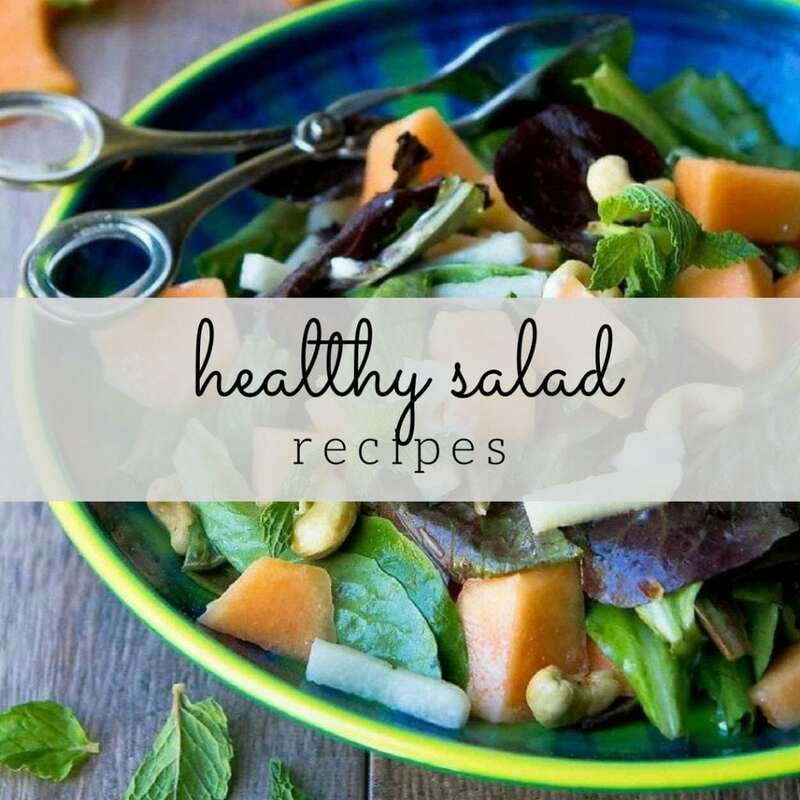 Only 178 calories and 6 Weight Watchers Freestyle SP. 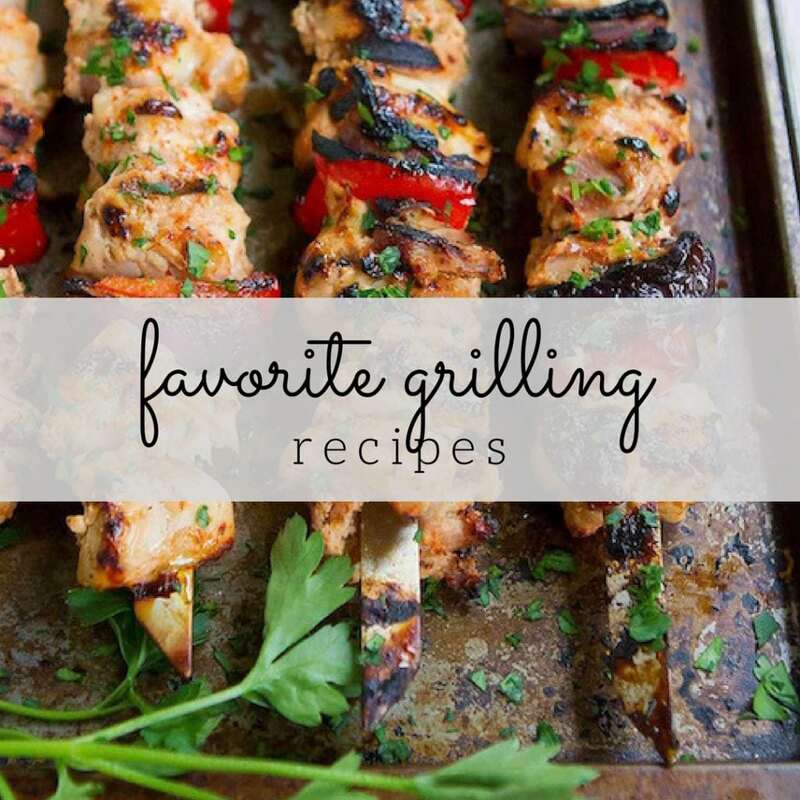 There is one very good reason that I am sharing this recipe today. Today marks 15 years since I married the love of my life, Steve. It was a gloriously sunny, but cool Vancouver day, and I remember it like it was yesterday. Surrounded by family and friends, we pledged to love and honor each other, we wined and dined together, we danced together and we soaked it all in together. And then we ate carrot cake. Perfectly tender, generously iced, spiced carrot cake. Fast forward 15 years to present day. We both still adore carrot cake, but we tend to opt for healthier options on a day-to-day basis. So, it only made sense to come up with a muffin that reminded us of that perfect carrot cake that we shared at our wedding 15 years ago, but had zero “Ugh, I’m never going to fit into my jeans if I keep eating this” kind of guilt attached to it. , which I use in everything from Baked Whole Wheat Peach Pancakes to Strawberry Oat Bars. I may never go back to regular whole wheat flour again. The texture of the whole wheat pastry flour has spoiled me forever! Instead of using a measuring cup full of oil, I replaced the oil with unsweetened applesauce and nonfat plain Greek yogurt. The texture was so “right on” that you would never guess that these muffins are low fat. That makes them perfect for on-the-go breakfasts and afternoon snacks. My kids might even find some of these tucked into their lunch boxes. I think it’s safe to say that Steve and I will be enjoying these for at least another 15 years. In a medium bowl, whisk together flour, baking soda, cinnamon, nutmeg, ginger and salt. Stir the dry ingredients into the applesauce mixture until combined. Stir in the carrot, raisins and chopped pecans. Bake for 7 minutes. Place one pecan half on top of each muffin. Bake until a toothpick inserted in the center of the muffins comes out clean, an additional 7 to 9 minutes. Oh my, these are tasty, dense, and beautiful! These muffins look so good! Pinned! 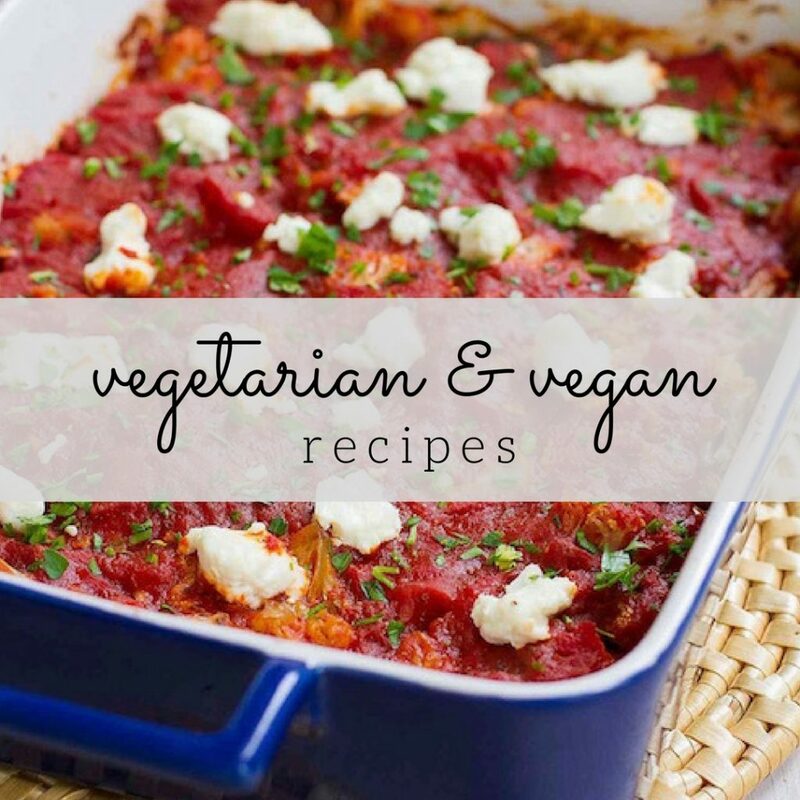 This looks good and I’ll convert it and try it….can you do some gluten free recipes as well? I love these muffins, what a breakfast treat! Happy anniversary! 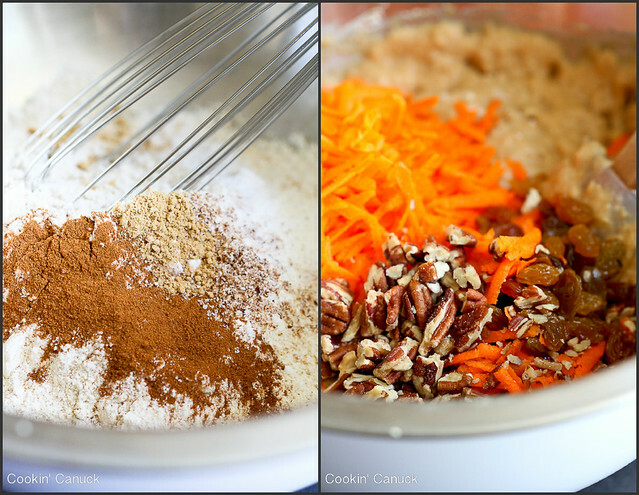 I love that you’re sharing this recipe because carrot cake is one of my absolute favorites! Happy Anniversary Dara!! 15 years? SO great! I’m just coming up on 2 haha! And these muffins look absolutely perfect. We love Carrot Cake, so these are happenin’! Pinned! Aww happy anniversary you two! Love the carrot cake muffins! Happy Anniversary!! 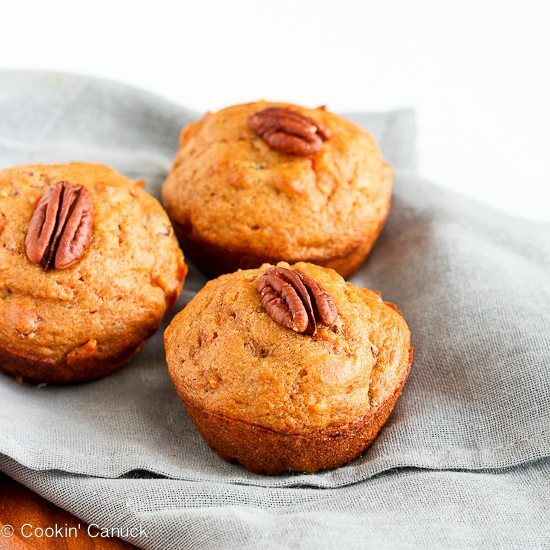 Love that you made carrot cake healthier in muffin form! Have a happy anniversary & thanks for sharing some of your life with us through delicious and interesting food! Congrats! Love your wedding pic with your dog and the muffins sound delicious!! Awwww … congratulations on 15 happy years! 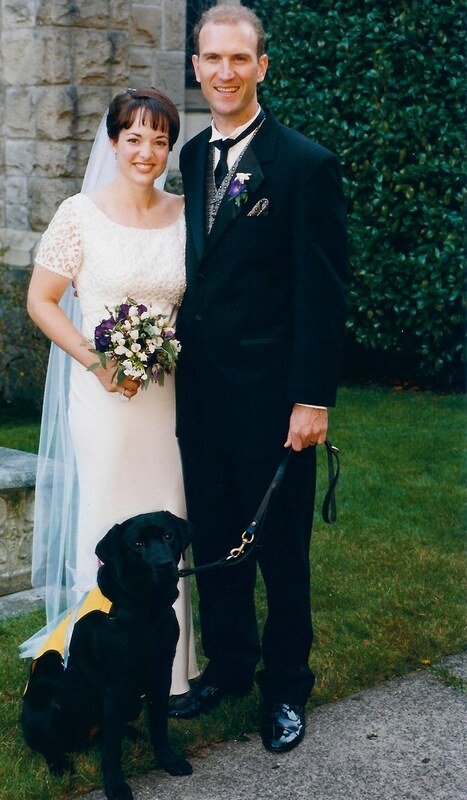 I just loved seeing your wedding photo (and loved, loved that your pup was in it, too! 😀 )! Mmmmmm … and about these muffins? Awesome! They made me think of my mom right away, because she adores carrot cake – I’d love to make these for her! And ww pastry flour, Greek yogurt and applesauce? I am 100% totally in! Pinning for sure! Awww Happy Anniversary! 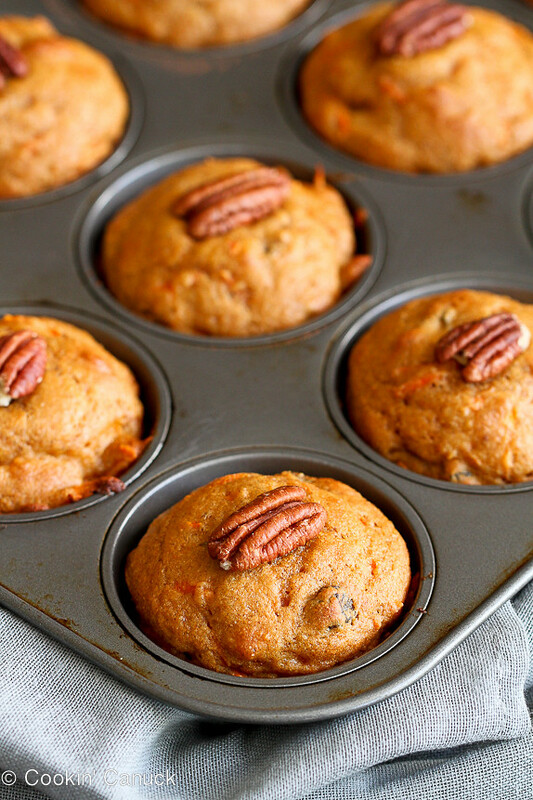 These carrot muffins look moist and melt in your mouth! How much salt are we supposed to use? The directions mention salt but it’s not in the ingredient list. I used 1/8 teaspoon. Hope I guessed correctly!